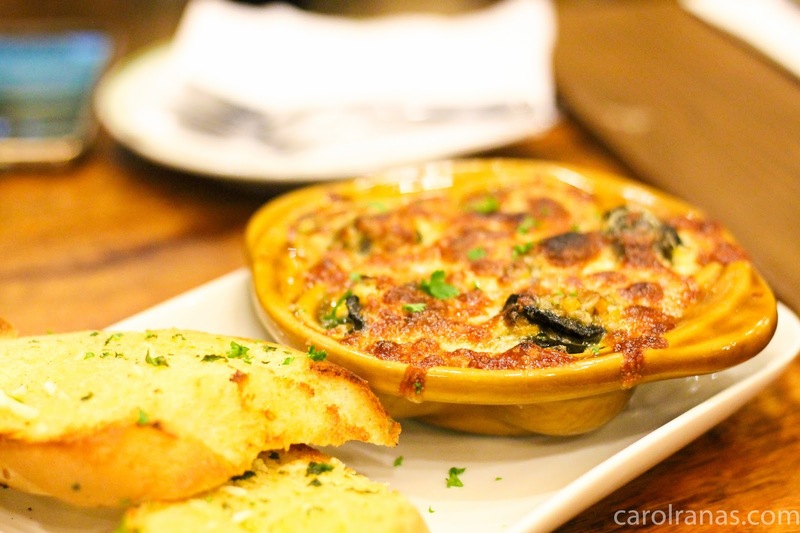 These escargots were imported from Europe, baked with garlic and parmesan butter. 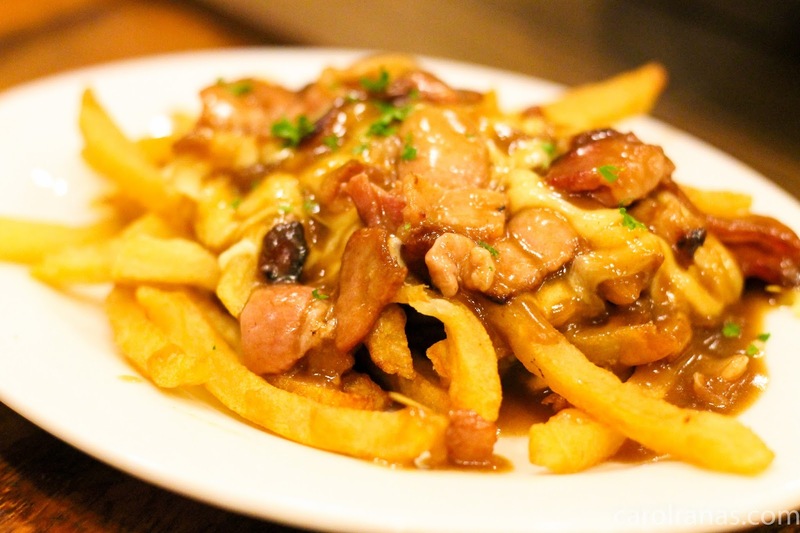 Poutine is what French people consider as french fries with interesting toppings and gravy. Mama Lou's Poutine consists of fries topped with bacon, brown gravy and mozarella cheese. Being an Italian restaurant, Mama Lou's of course have one of the best pizzas in town. Their pizzas are inspired from the pizza from Naples. 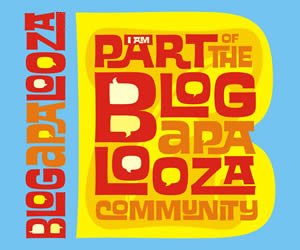 And we wouldn't miss to try their bestseller pizzas. 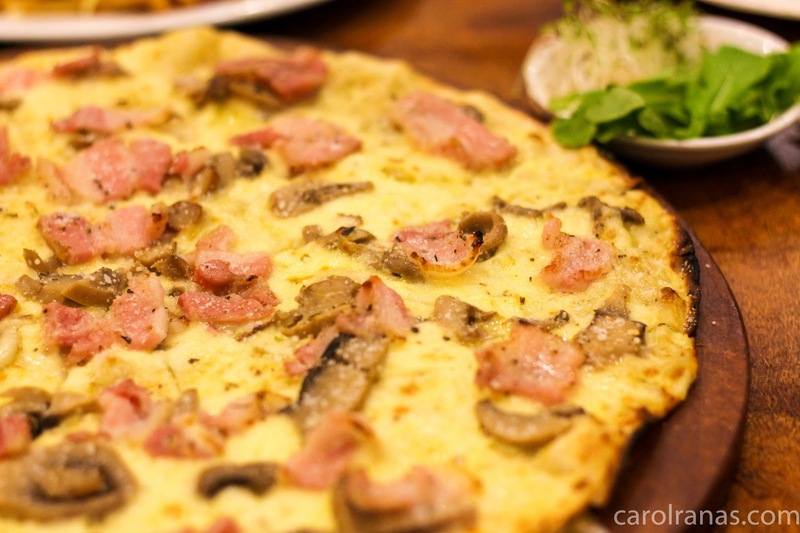 Pizza Bianca consists of cream, mozarella, mushroom and bacon. The small size (12") is big enough for two people while their large (14") is similar to family size pizza. 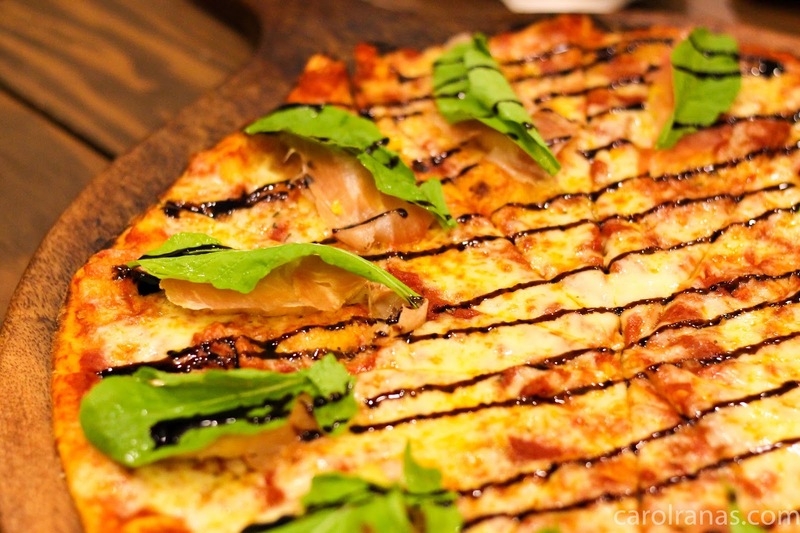 Mama Lou's Special pizza is made of proscuitto, tomatoes, mangoes, arugula, mozarella with balsamic cream. This is one pizza I enjoyed munching on.  It has a sweet yet tangy taste with the perfect crunch. 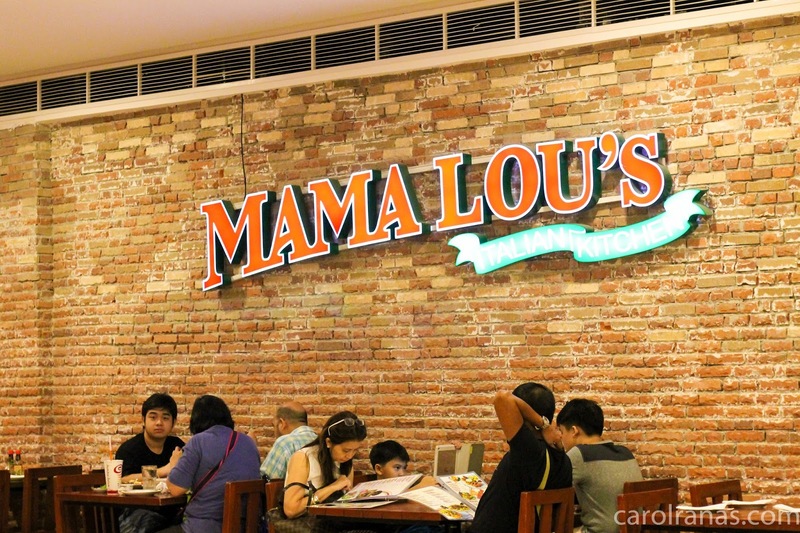 Your Italian cuisine dining experience wouldn't be complete without trying Mama Lou's range of Pastas. 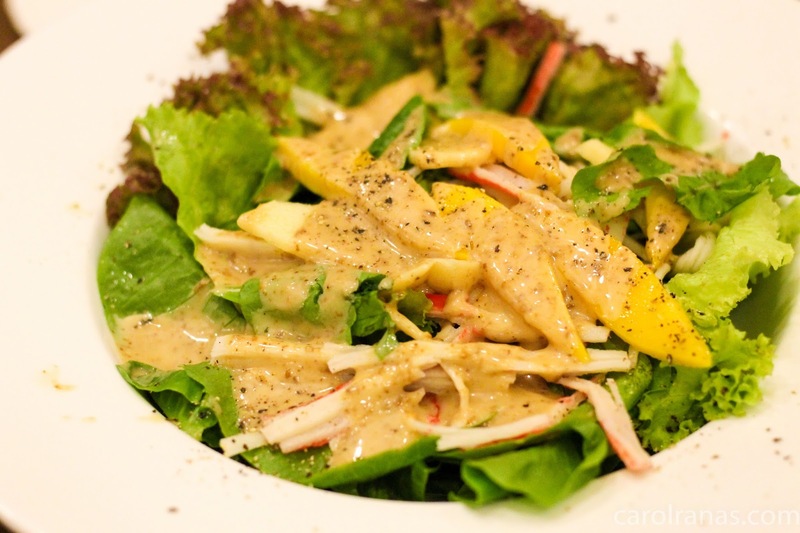 This is one simple pasta dish, yet one of the best sellers here in Mama Lou's. 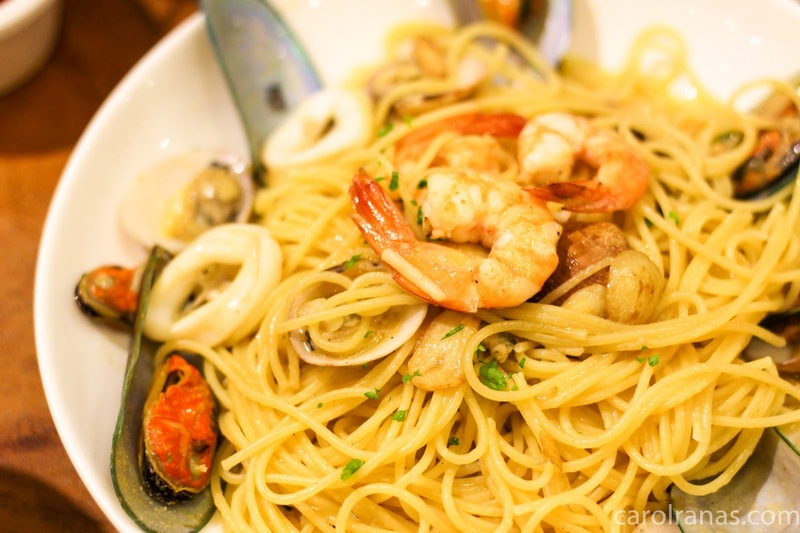 It is made of sauteed garlic with an assortment of seafood flavors marrying in one pasta dish. If you are an avid reader of my blog, you'll know how I love truffle dishes and this pasta dish is no exception. I wish that Mama Lou's had a bigger serving for this baby because I can surely chomp this down in one sitting. I prefer pasta over risotto in any given instance as my source of starch (secondarily to rice, of course). 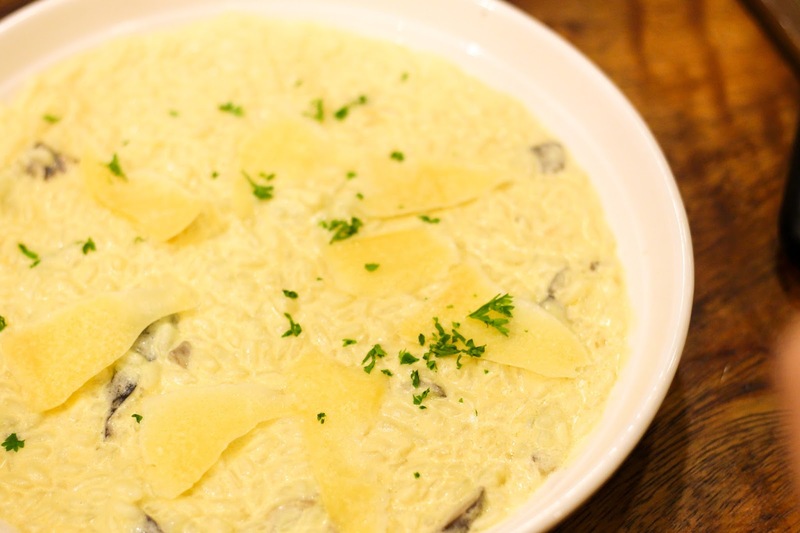 I just took one quick bite of this long grained risotto and went back to gobble on the truffle mac and cheese. Mama Lou's steak meats are from Australia which has the leanest and nicest marbling of fats that I have ever seen. So this steak is one oozingly juicy and delish steak meal. I didn't even bother putting on steak sauce. 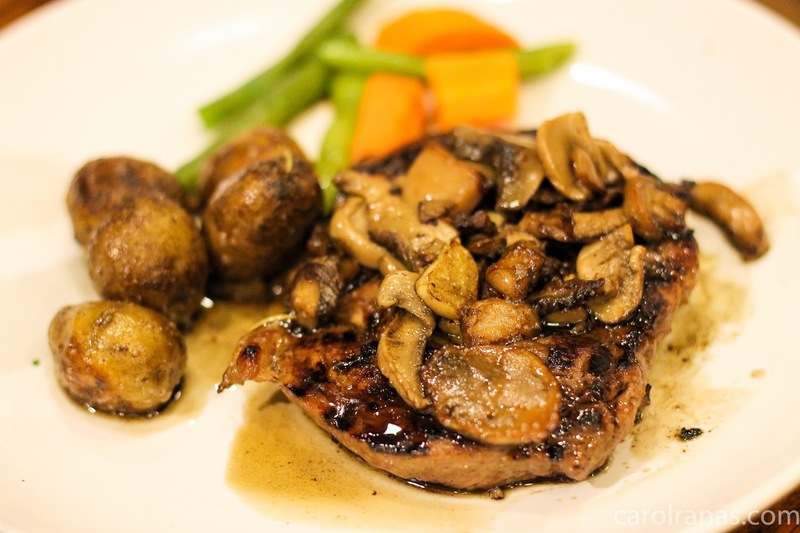 If you are shying away with red meats, you can try Mama lou's Chicken Piccata. It is panfried Chicken Breast with Lemon Butter and Caper Sauce. Their Mango crepe are real good. 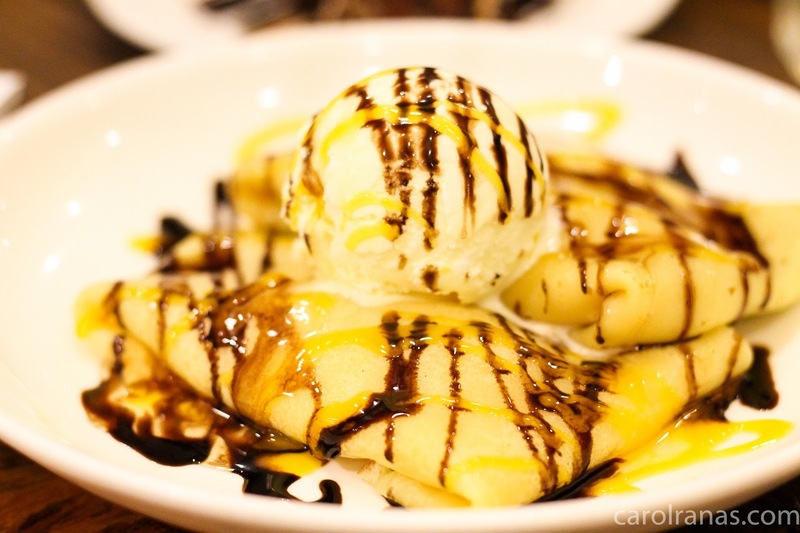 The crepe was interesting and the mango and choco drizzle help seal the flavors from this a la mode crepe dessert. 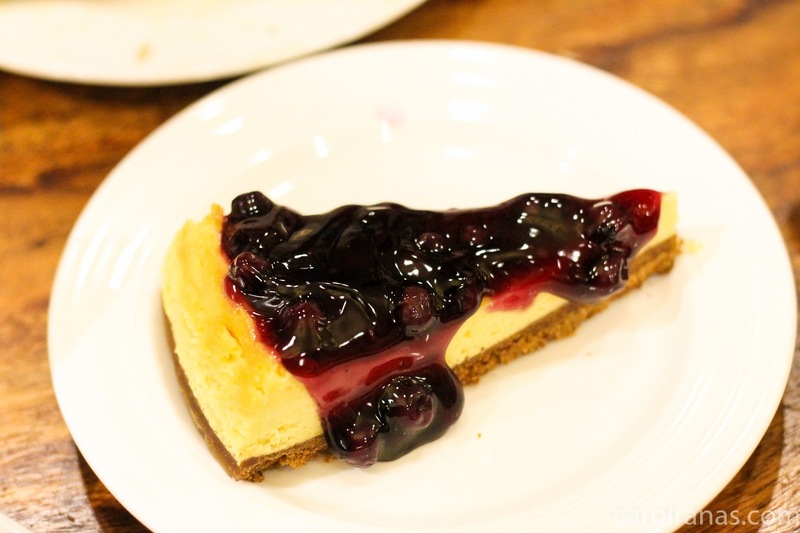 Their cheesecakes were homemade and topped with your choice of blueberries or mangoes. Their cheesecake is different from those coffee shop cheesecakes I've tasted. Mama Lou's Chocolate Cake is interesting because they placed all the nice ingredients that could go along a chocolate cake. 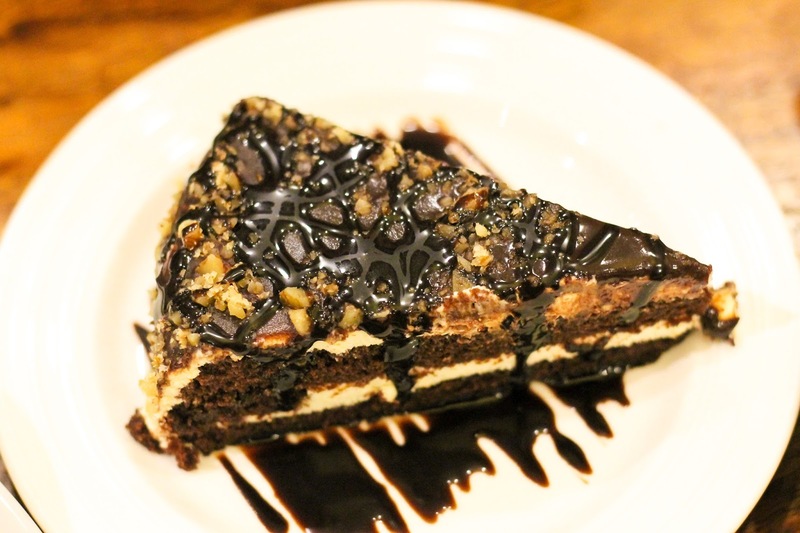 Their cake consists of moist chocolate cake topped with assorted nuts and belgian chocolate drizzle. 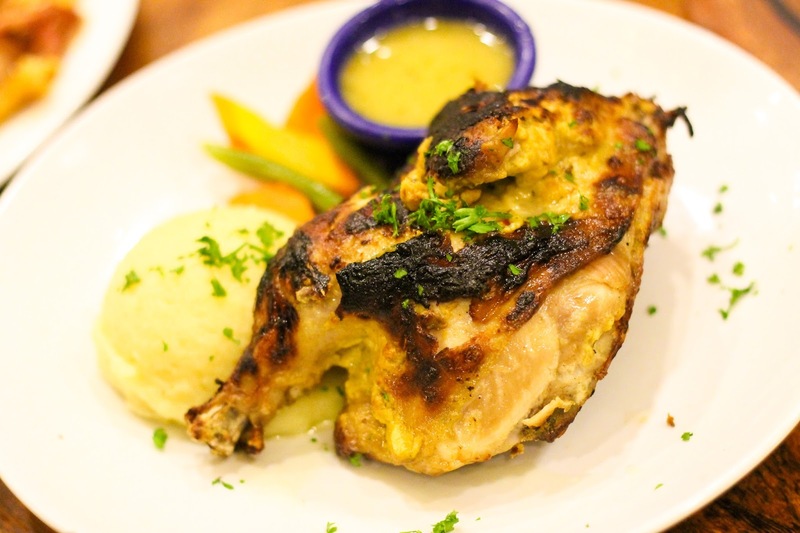 Overall, Mama Lou's offers Italian comfort food that is worth the hype. 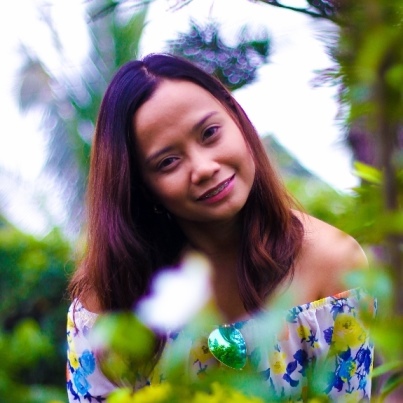 I can see myself coming back again (and again!) 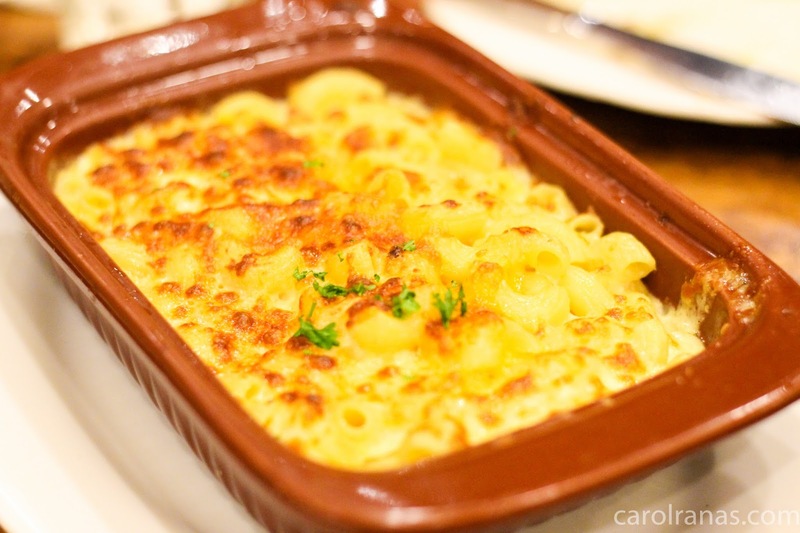 for their pastas and pizzas (Mama Lou's Special, to be exact). You can bring your family(or date) so you can enjoy good Italian dishes at an affordable price and comfortable setting. Soshi and I will definitely try their Nuvali branch next. What is your favorite Italian dish? Share it in the comments below!